As the saying goes, we eat with our eyes, and this was certainly the case for me when I stumbled across Naheda's Choice Turkish Delight, at the Prahran Market (stall #112). 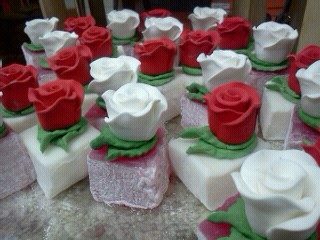 Not being a fan of the sugar syrup and cornflour sticky jelly sweet, I was still immediately drawn in when my eyes caught the beauty of the little cube delights decorated with a single edible rose on top. 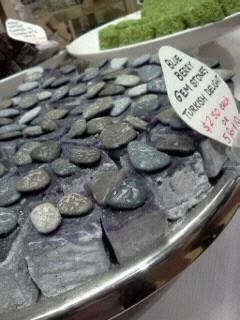 When food looks this pretty, you want to admire it, and then taste it! You will certainly get your sugar high with these. While I will wait for my return to Istanbul's Karakoy Gulluoglu, for those who love these sugary treats, and need a local haven, you will be spoilt for choice with 20 specialty varieties and over 60 flavours ranging from traditional rosewater to modern blueberry, honeydew, mint, and more. Free samples are for tasting to help you make your choice. If you prefer something a little fancy, choose delights dipped in rose petals, rolled in pistachio nuts, or decorated with edible rose or chocolate pebbles - in my opinion, too beautiful to eat! Not only selling Turkish Delights, but other treats such as date and pistachio balls, nougat, snowballs (marshmallow dipped in rich chocolate) and other gloriously sweet delights. At prices starting at $2.50 a piece, these cubed delights are an easy afternoon treat, or take home 5 for $10 deal to share. Say Merhaba to and enjoy in the humour of the Turkish Mascot who will infect you with his contagious smile and jolly ways! Colourful and delightful, this place cannot be called anything else but Turkish Delight! 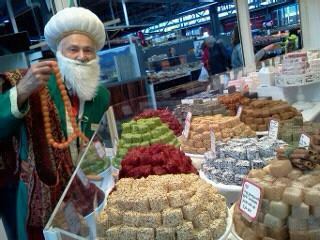 Naheda's Choice Turkish Delight - Merhaba! Why? 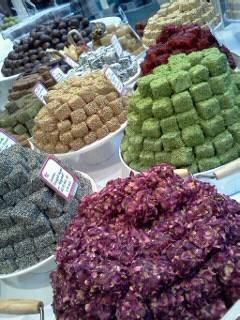 60 flavours of Turkish Delight! I absolutely love Turkish Delight, this is like Wonderland.